An ocean wonderland in your hand. Grow and care for your own virtual reef! 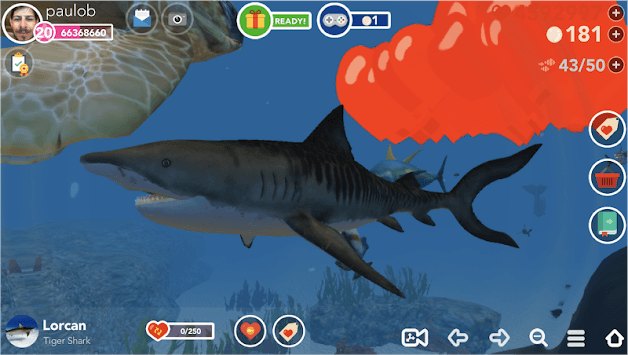 Dive into the virtual ocean of Ocean Reef Life, where you can grow and care for an aquatic wonderland of marine creatures from colorful tropical fish to predatory sharks and massive whales. Visit your reef in the palm of your hand anytime. Watch your fish grow from babies to adults, then breed more! Collect hearts to buy bigger and better creatures. Enjoy 100% 3D and free movement with tons of realistic and beautiful digital creatures to discover and care for! 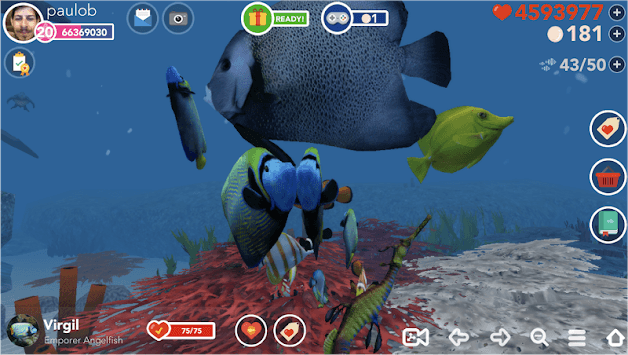 - Fill your 3D reef with over 50 beautifully realistic virtual ocean creatures from tiny colorful clownfish to gigantic blue whales. 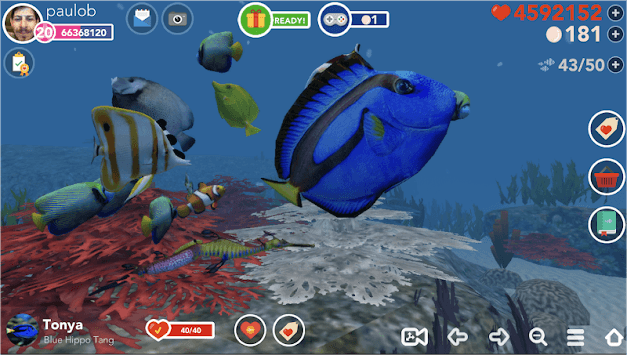 - Freely explore your reef with several camera modes, you'll feel like your swimming inside! - Your creatures are always producing hearts! Keep them producing hearts and collect them when full. - Watch your creatures grow from tiny babies to mature adults ready to breed and product hearts! - Grow, collect, breed, repeat! Use Pearls to speed up the and you'll have a burgeoning reef in no time! - Over 40 marine creatures to unlock and buy in the Shop, with new creatures added each monthly. - Spin the Reward Wheel for bonuses and find the hidden Clam to get a Pearl bonus! You can also watch ads or play demos for daily rewards.